The Microgaming Poker Network is making sweeping changes to Sit & Go games throughout the growing network to offer more value to (most) players. The Microgaming Poker Network (MPN) was one of the success stories of 2015. After implementing changes to its tournament schedule and enabling players to change their aliases, network traffic has soared by more than 50%. Traffic on the network is due to take another hike at the end of February when PKR Poker joins MPN. In order to give new and existing players on the network a little extra value, sweeping changes are being made to the network´s Sit & Go games. These include more starting chips in most games, lengthier levels, and a longer time bank for players to make better decisions. There are also some significant changes to the fees being charged to enter the games. 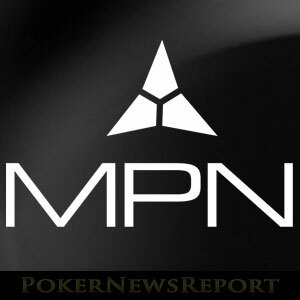 Writing for the MPN Blog, Head of Poker Alex Scott says that the changes are being introduced after months of consultations with operators and players on the network. The changes are designed to make the Sit & Go games compatible with the current tournament schedule so, when a player sits down to certain type of game, he or she knows exactly what to expect in terms of starting chips and timings. 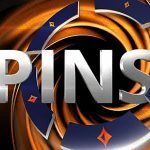 One of the biggest changes is that players in regular Sit & Go games and Turbo Sit & Go games will sit down with 2,000 chips rather than 1,500 chips. In Turbo SNGs, levels will be six minutes long instead of five minutes, players will get 18 seconds to act instead of 15 seconds and have a time bank of 30 seconds instead of the current 15 seconds. In Super Turbo Sit & Go games, the starting stack of 500 chips remains the same. However, levels will be three minutes long rather than 2 minutes in length, players will get 15 seconds to act instead of 10 seconds and the current time bank of 10 seconds is being increased to 15 seconds. There is no intention to change the blind structure in any of the games. Scott admits that he is no fan of Double Up Sit & Go games, and even provides a warning to new players that they should keep away from them until they have a better understanding of the complex strategies needed to profit from the games. He also acknowledges it is difficult to identify collusion in these games and, because some of the strategies look like collusion, the games are difficult to police effectively. Rather than take the games off the network, Scott has announced that the network will be increasing the fee to enter Double Up Sit & Go games substantially in order to dissuade new players from entering them and to make it not so worthwhile for colluders to cheat. Scott says the extra money will go towards extra security measures to defeat cheating wherever it occurs. For years the standard fee for Sit & Go games on MPN has been 10% – even in heads-up games. Scott acknowledges that this is one of the highest in the industry and has taken steps to reduce the fee wherever possible. In terms of regular Sit & Go games, the fee at most stake levels will remain unchanged. However, Turbo games with buy-ins of €0.50 or more will see their fees reduced to 8%, and the fees for Super Turbo SNGs with buy-in of €0.50 or more will generally be reduced to 6%. The biggest fee reductions will be most noticeable in the heads-up SNGs. 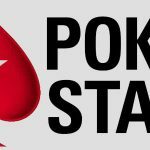 The network is introducing sliding scales for each type of heads-up SNG that will see the fees remain at 10% for the microstakes games (€0.10 and €0.20 buy-ins), but reduce all the way down to as low as 2% for the Super-Turbo HUSNGs at nosebleed stakes. The number of open SNG games is also being increased in the Sit & Go lobby, so that players can register for multiple games at the same time. The overhaul of MPN´s Sit & Go games is completed by some new additions to the network´s portfolio. At the end of the month, Scott plans to bring in multi-table SNGs and also Super Bounty Sit & Go games – in which all of the prizes are bounties, and the only way a player can win is to knock all their opponents out. Other innovations which are still in the trial stage are Super Turbo SNGs in which the blinds increase every six hands (to prevent stalling) and Survivor Sit & Go games, in which the player with the least amount of chips at the end of each level is eliminated. Scott believes that this format of Sit & Go forces the action and increases the excitement in every hand. Despite having put a great deal of effort into devising changes that will appeal to the majority of players on MPN, Scott asks players to give their feedback on the changes once they are implemented. He admits that, until the games are up and running in their new formats, it will be impossible to tell whether the changes are as beneficial as he expects them to be. In view of all this, it makes more sense to abolish the format entirely just as Stars did years ago.